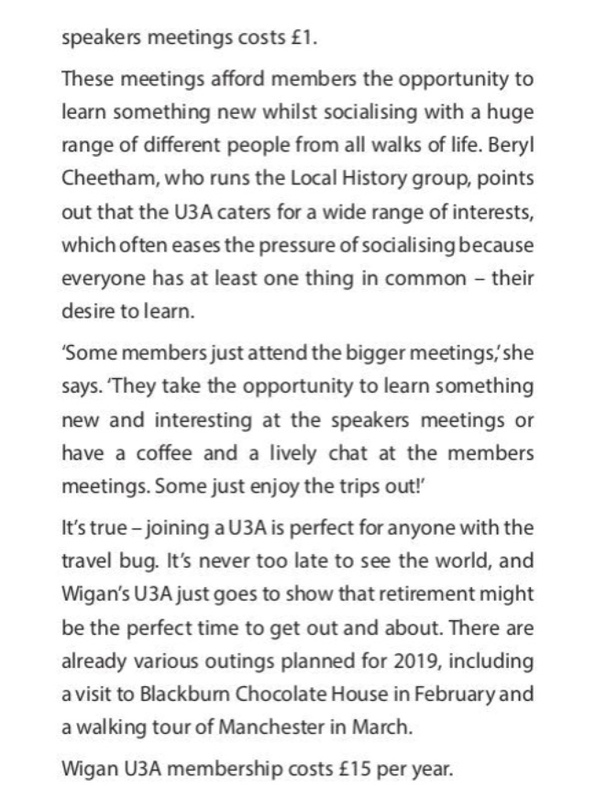 Wigan U3A is popular ‘meeting place for retired gentlefolk’ which launched in May 2018. I know what you mean Mester Tomp, same here. a walk every afternoon, weather permitting.